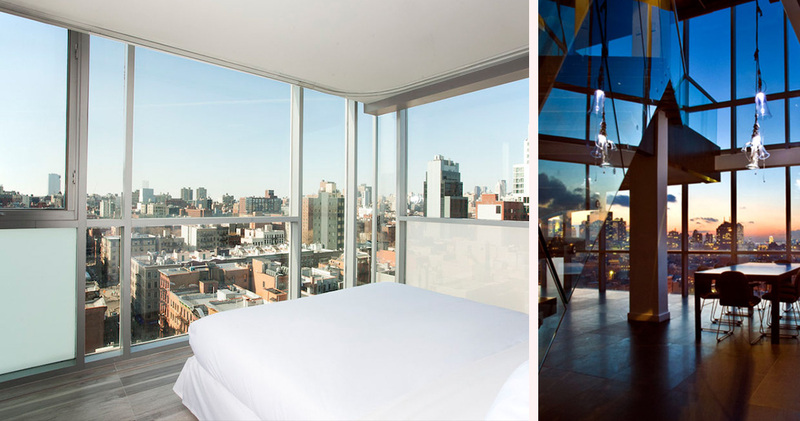 The Rivington Hotel is a contemporary oasis housed in a stunning glass and aluminum high-rise. 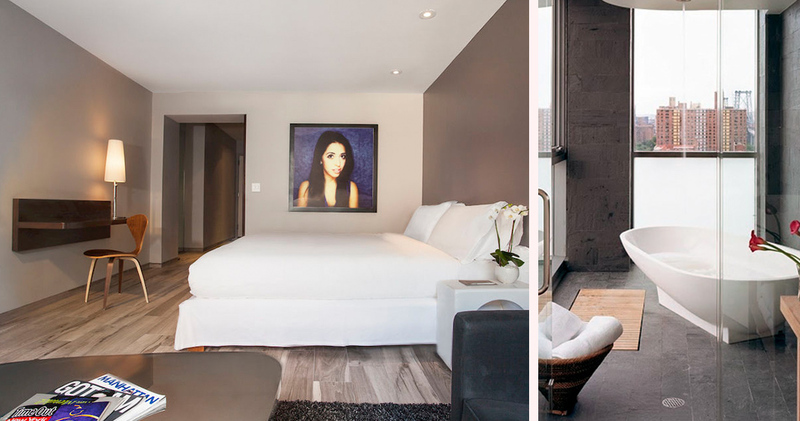 At the heart of the trendy Lower East Side, Rivington Hotel is an urban oasis. A premier hotel amongst the LES hotels group, it is located just a short walk from Little Italy, Wall Street, SoHo and many other New York neighborhoods. 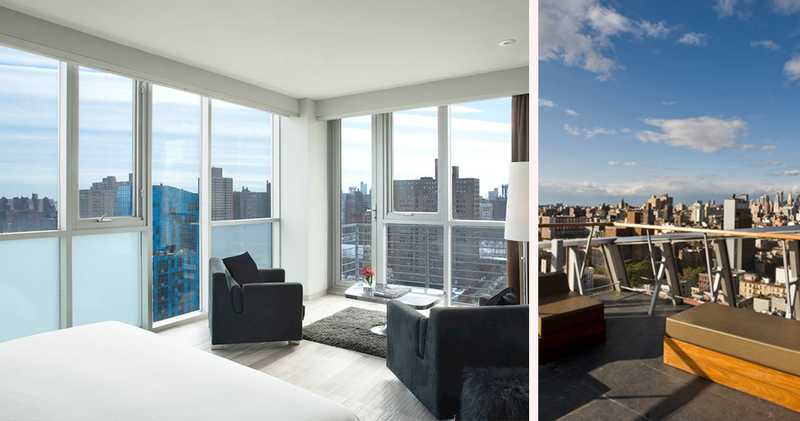 Situated in a neighborhood known for its historic, tenement style of housing, the sleek, glass and aluminum high-rise of Hotel on Riverton stands out as a breathtaking architectural feat, providing stunning views of Manhattan and beyond. Guests are greeted by an impressive entrance of red carpet and velvet curtains surrounding a futuristic arch, before entering a cozy lounge complete with plush sofas and sandy coffee tables. 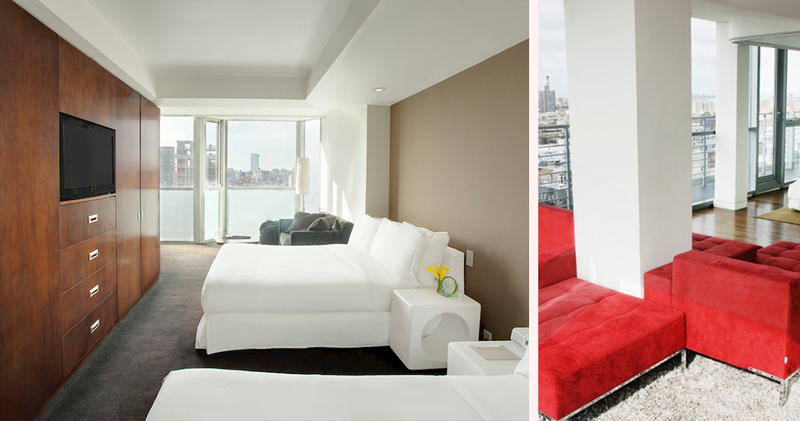 Hotel on Rivington is best known for providing some of the most spacious accommodation in New York, with room sizes starting at 385–400 square feet of usable living space. Guests can escape the busy streets into a sleek, contemporary room complete with Tempur-Pedic beds, deluxe Frette sheets and spectacular floor to ceiling windows. 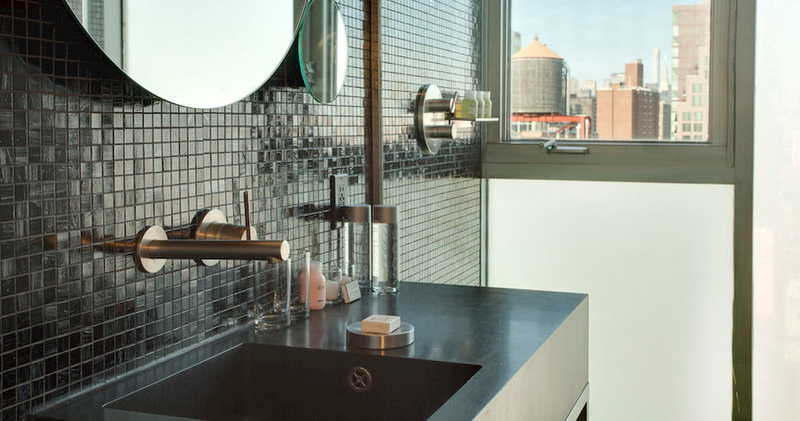 Bathrooms feature luxury Italian amenities from Davines, and a variety of additional options can be enjoyed dependent on the guest’s choice of room. These additional options include Japanese-inspired soaking baths and large open balconies. 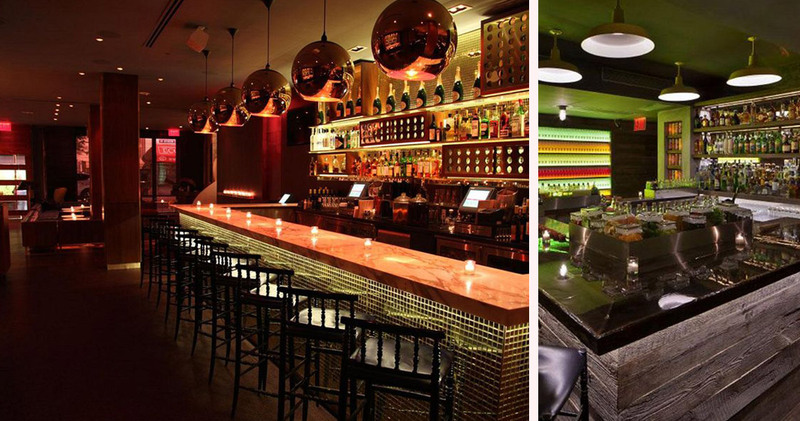 CO-OP Food & Drink is a contemporary, American inspired brassiere located on-site. 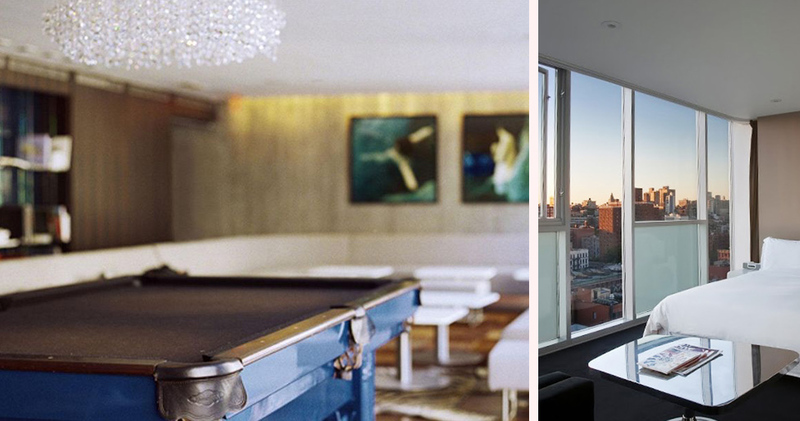 Guests can enjoy locally sourced cuisine, fresh sushi and cocktails created by some of New York’s leading mixologists. Looking for a great place to eat? Check out our exclusive Top 10 List of New York Food Bloggers, Restaurant Critics and Best Of Lists! 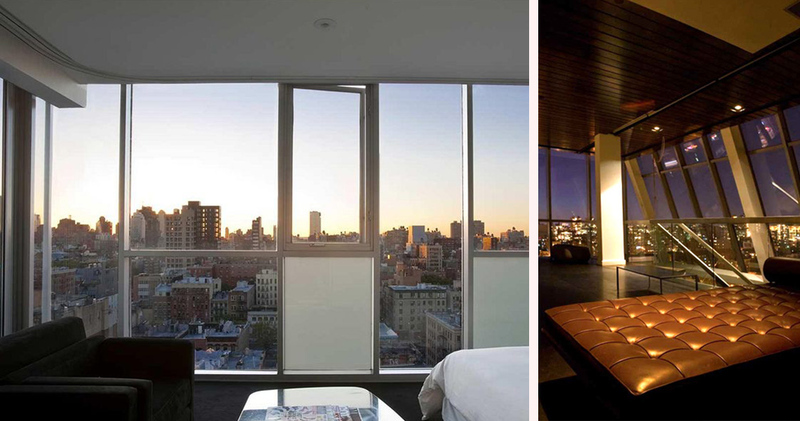 Lower East Side is energetic, hip and one of the prime shopping and dining destinations of NYC. The neighborhood is known for its cool nightlife, boutiques, art and restaurants. Visitors will find themselves in the midst of contemporary culture with museums and art galleries like the New Museum, Canada and Eleven Rivington. Other than the famed Jewish delis, the neighborhood is also home to several excellent restaurants like Cherche Midi and Dirty French. 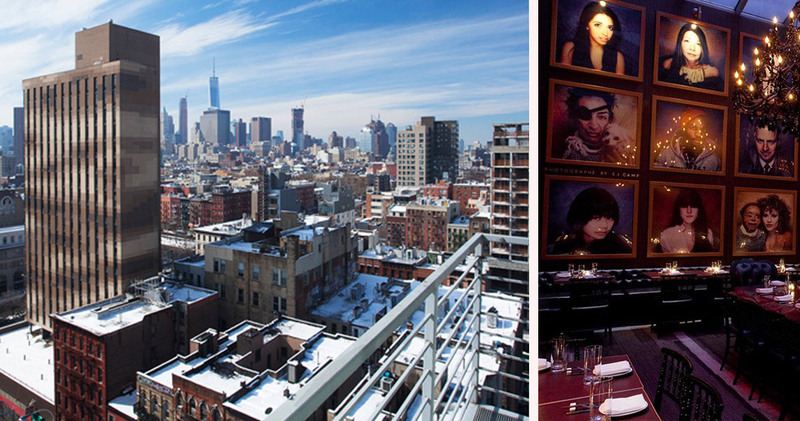 The Lower East Side is also famous for its burlesque shows and raucous nightlife scene. Visitors will also find famous landmarks like the Eldridge Street Synagogue and Kehila Kedosha Janina in the Lower East Side.